I see a lot of people saying that they formed their LLC with help from places like Legalzoom or Nolo, or whatever and they have paid a ridiculous price for a form that you can download for free from your State’s Secretary of State Website. You don’t need Legalzoom or Nolo! Legalzoom says their fee starts at $149 + fees! That means if your State charges $70 to form an LLC, you will pay Legalzoom at least $149 + $70 = $219 for something it costs $70 to do yourself in a few minutes! For example, in the State of Ohio, you can go the the Secretary of State website and download form “533a”, complete it, and pay the State of Ohio $99 to form your LLC. 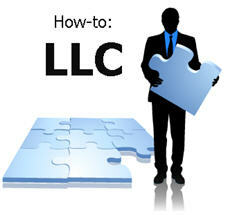 In California, it is form “LLC-1” and it costs $70. In Texas, it is form “205” and it costs $300. In New York, it is form “1374-f” and it costs $200. In Pennsylvania it is form “DSCB:15-8821” and it costs $125 (in PA go to the Department of State website). Note that the costs quoted above are in addition to what Legalzoom or Nolo will charge you for the “privilege” of using their products. Skip those services and go directly to the Secretary of State website in your State, download the form you need, pay your fee and be done with it. Many States now let you fill out the form online and to pay with credit card or check! 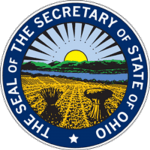 A fast way to get to the information you need in your State is to search Google with the terms “[State] sos llc”, so for Ohio, it would be “Ohio sos llc”. That will usually take you to the right place get the correct form and how much it will cost. If you need help finding that information for your State, please feel free to email me at mailto: [email protected] I can help you find the info. Thanks man, this is going to save me about $300. If found the info on my state just like you said. I even filled out the form on line and paid. This is great info. How do I find the right form in Pennsylvania?